Kerstin Günther is an engineer in electronics with an MBA in finance. Prior her appointment as Technology Director Europe on March 1, 2012, with responsibility for Technology, IT and the Technical Service in all 12 countries of the Europe Board area, she was a consultant and later corporate executive in Telecommunication Companies of the Deutsche Telekom Group. Kerstin is member of the board of directors and the supervisory board of several companies of the Deutsche Telekom group in Europe. She was Senior Vice President Planning Technology for Deutsche Telekom Germany, Senior Vice President Service and Demand Management at T-Home. She lead the largest Technical Infrastructure Branch Office of T-Home and before that the Personal Service Centre of Deutsche Telekom. Before coming back to Germany Kerstin held the position of Senior Vice President Strategy and External Affairs at Slovak Telekom, Senior Vice President Wholesale at Magyar Telekom and Vice President Regulatory Affairs at Magyar Telekom. Brigitte Zypries studied law in Giessen and qualified as a lawyer in 1980. She started her professional career in the legal division of the State Chancellery of Hesse as a Research Assistant to the Federal Constitutional Court. From 1991 to 1995, she held leading positions at the State Chancellery of Lower Saxony, Hanover and eventually became State Secretary at the Ministry of Women, Labour and Social Affairs of Lower Saxony in 1997. From 1998 to 2002 she was State Secretary to the Federal Ministry of the Interior in Berlin. From 2002 to 2009, Brigitte Zypries was Federal Minister of Justice. Since 2005, she has served as a directly elected member of the Bundestag for the constituency of Darmstadt, Hesse. In the past, she was member of the committee for new media and the Bundestag’s study commission “Internet and digital society”. Following the last election, she was appointed Parliamentary State Secretary at the Federal Ministry for Economic Affairs and Energy with a special responsibility in the field of IT policy. She also represents the Ministry in the newly created Committee “Digitale Agenda” in the Bundestag. Cheryl Miller is Founder and Executive Director of the Digital Leadership Institute (formerly Zen Digital Europe), a Brussels-based, international NGO whose mission is to bridge the gender gap and the digital divide worldwide by educating and empowering women digital leaders of today and tomorrow. Cheryl is a social entrepreneur with twenty years of international experience in the tech and ICT sectors, and her work to promote ESTEAM (entrepreneurship, science, technology, engineering, arts & mathematics) and leadership to women and girls has been recognised by the United Nations and European Commission. She is consulted worldwide as an expert on topics related to digital inclusion, digital literacy, gender equality, youth and female leadership, and education and entrepreneurship, particularly in STEM fields. In 2008, Cheryl founded Zen Digital Europe, a sustainability consultancy promoting digital skills and ICTs to address gender equality and climate change, and promoting education and inclusion. In 2014, Cheryl and her partners launched the Digital Leadership Institute to promote the mission of Zen Digital Europe worldwide. Bedy Yang is the Venture Partner at 500 Startups, which provides early-stage companies with funding in a startup acceleration program. Bedy has used her multi-cultural experience to find start-ups and partners for 500 in Brazil and Latin America. She has catalyzed also the startup community in Latin America through a company she found, Brazil Innovators, an organization that nurtures entrepreneurship and innovation through the connection to Silicon Valley. Previous to this venture, she had a social business on income generation and fair trade working with Brazil and China. Using her multi-lingual skills (Portuguese, Spanish, Mandarin and German) she is merging the gap between international companies and Silicon Valley. Bedy has a BA in Business Administration from Fundação Getúlio Vargas and MLA in East Asian Studies at University of Pennsylvania. 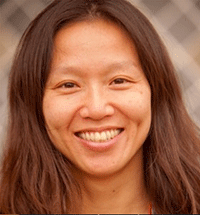 Lina Chong joined Hasso Plattner Ventures in June of 2012 with over 3 years experience from both the entrepreneur and investor sides of the table. As an entrepreneur, she founded a mobile applications company in Europe/ US and managed operations as interim COO for a high growth Internet company in Indonesia. On the other side, she supported two different angel investors and their portfolio companies mainly in digital commerce and media. Lina aims to drive investments to innovative companies and passionate entrepreneurs through her role at HP Ventures. As a first step to this objective, Lina has launched the seed program at HP Ventures, which allows up to 1 m EUR to be invested in product and tech oriented, early stage startups in Berlin, Germany. Nina Faulhaber is Associate at Index Ventures, a multi-stage international venture capital firm based in London, San Francisco and Geneva. Index has invested in ASOS, Dropbox, Etsy, King, MySQL, Skype, SoundCloud, Sonos and Supercell, among many others. Nina joined Index in early 2012 from Goldman Sachs and focuses on early stage consumer and SaaS companies in Europe including e-commerce, marketplaces, mobile apps, gaming and B2B2C. Outside work (and not uncommonly as part of her work) Nina loves traveling, a good workout, yoga, fashion and reading. Follow her on @ninafaulhaber.